During an interview with SiriusXM Patriot’s Breitbart News Daily, Camarota said his research has revealed the enormous financial burden that illegal immigration has on America’s working and middle class taxpayers in terms of public services, depressed wages, and welfare. 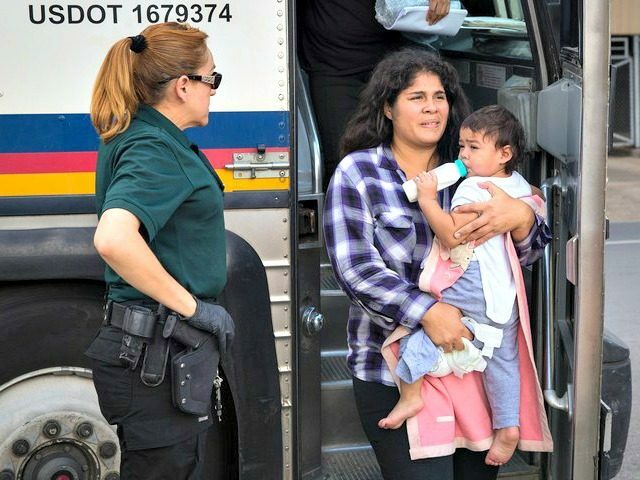 Camarota said the education levels of illegal aliens, border crossers, and legal immigrants are largely to blame for the high level of welfare usage by the f0reign-born population in the U.S., noting that new arrivals tend to compete for jobs against America’s poor and working class communities. In past waves of mass immigration, Camarota said, the U.S. did not have an expansive welfare system. Today’s ever-growing welfare system, coupled with mass illegal and legal immigration levels, is “extremely problematic,” according to Camarota, for American taxpayers. The RAISE Act — reintroduced in the Senate by Senators Tom Cotton (R-AR), David Perdue (R-GA), and Josh Hawley (R-MO) — would cut legal immigration levels in half and convert the immigration system to favor well-educated foreign nationals, thus relieving American workers and taxpayers of the nearly five-decade-long wave of booming immigration. Currently, mass legal immigration redistributes the wealth of working and middle class Americans to the country’s top earners. As Breitbart News has reported, U.S. households headed by foreign-born residents use nearly twice the welfare of households headed by native-born Americans.